Like many of you, I’ll be attending a combined Cinco de Mayo and Kentucky Derby party this weekend. While the two celebrations don’t share much, they do share the first weekend in May most years. It took me a while to figure out what I’d bring to the party, until finally I realized I could make a signature pudding shot for each. 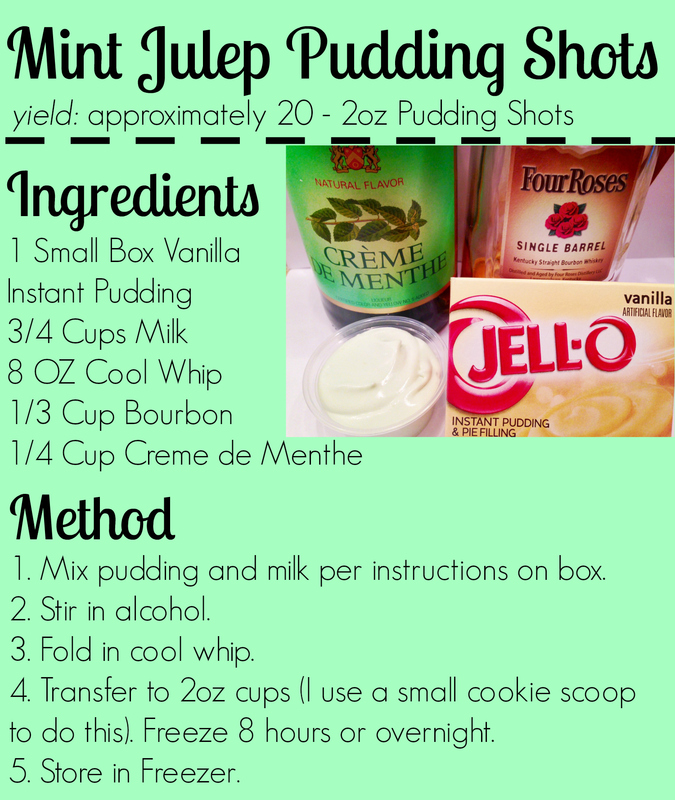 For the Kentucky Derby, I went with a Mint Julep Pudding Shot. 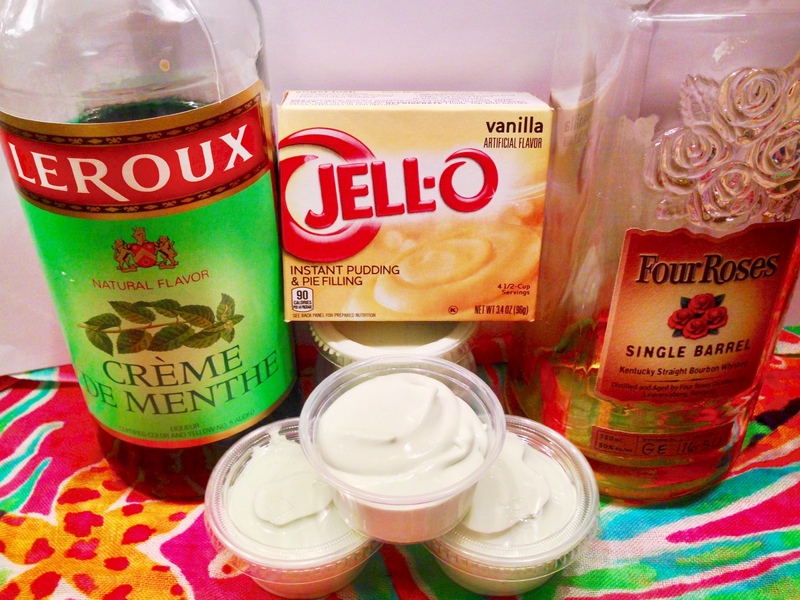 It combines vanilla pudding with bourbon and Creme de Menthe to hit all the great flavors of a traditional mint julep. All my friends who are Kentucky Derby fans are definitely going to love it. When I think of Cinco de Mayo I automatically think of tacos and margaritas. 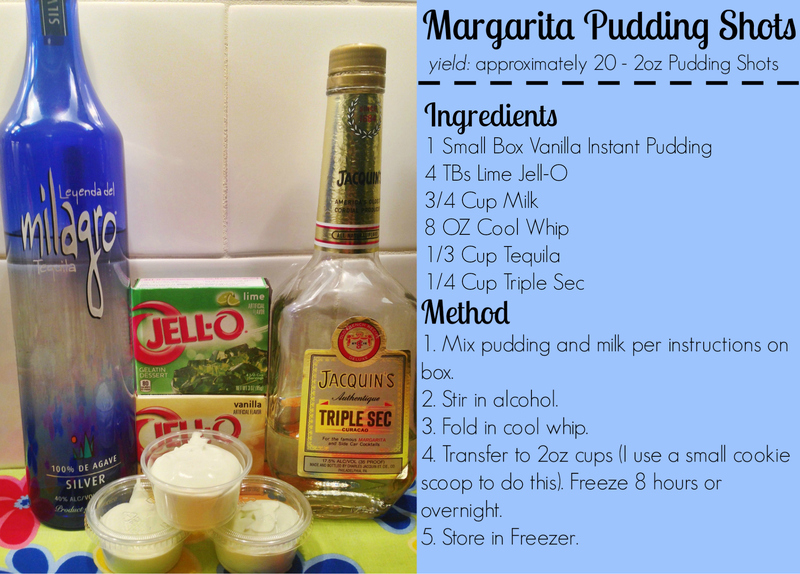 Therefore, I had to go with a Margarita Pudding Shot in honor of the Cinco de Mayo portion of the party. Since I wasn’t able to find lime instant pudding, I used a combination of vanilla pudding and lime jello to get a lime base. 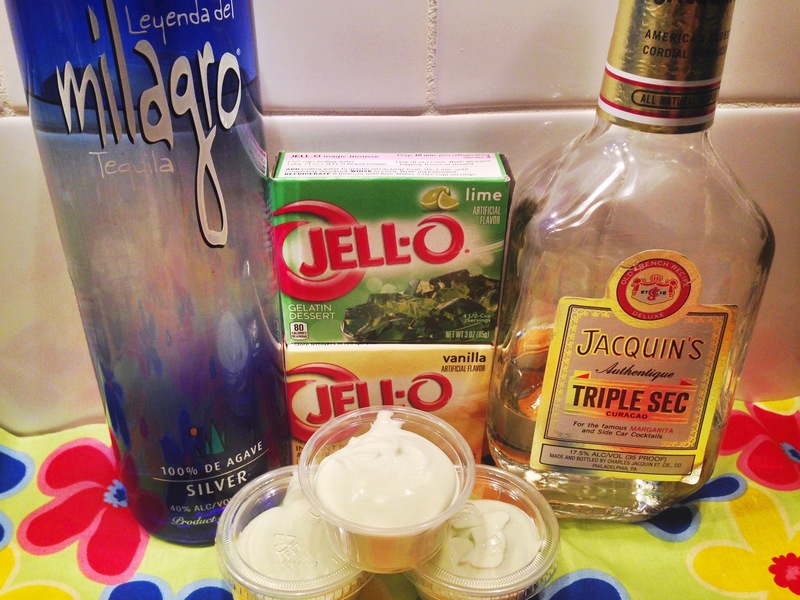 The lime base plus triple sec and my favorite tequila resulted in a great margarita flavor that I can’t wait for people to try! Will you be celebrating Cinco de Mayo or Kentucky Derby this year?